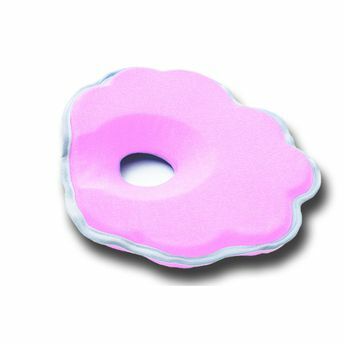 The Hush Nuvoletta pillow is in memory foam with a central hole and internal structure is viscoelastic polyurethane for a natural support on the baby's head. The pressure exercised by the head on the supporting surface is very little. It allows to keep the head well aligned with the body, guaranteeing its natural development and avoiding the risks of head deformation. Sleeping on one's back is recommended by the pediatricians, because it allows to reduce the SIDS risk (Sudden Infant Death Syndrome). Explore the entire range of Baby Bedding available on Nykaa. Shop more Hush products here.You can browse through the complete world of Hush Baby Bedding .